If you hold down Command, Option and F5, a window will appear that gives you accessibility options. 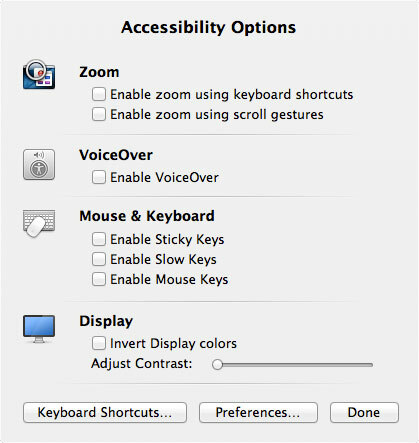 Although this is a great feature that gives you quick and easy access to the accessibility options, you may want to disable this functionality to prevent your users from enabling options like "Slow Keys", or "Sticky Keys". Apply this preference to all of your users within Workgroup Manager. This disables the Command, Option and F5 shortcut. However, this only disables the shortcut to the functionality, and also doesn't prevent users from doing this on the loginwindow. This prevents the application from being executed when the shortcut is performed. 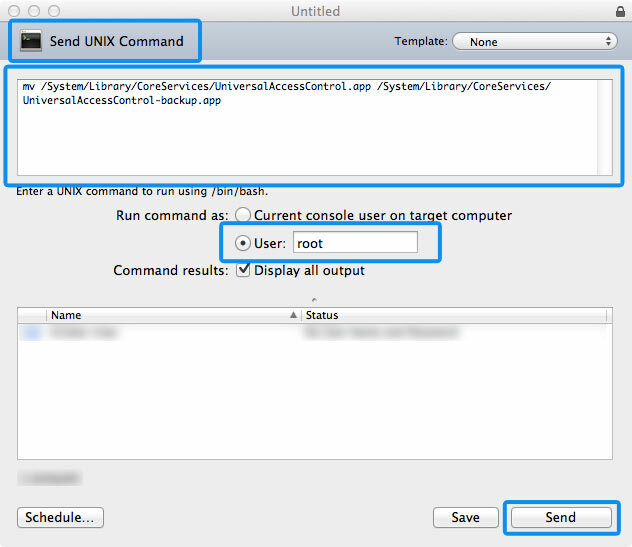 You can mass deploy this modification using Apple Remote Desktop.